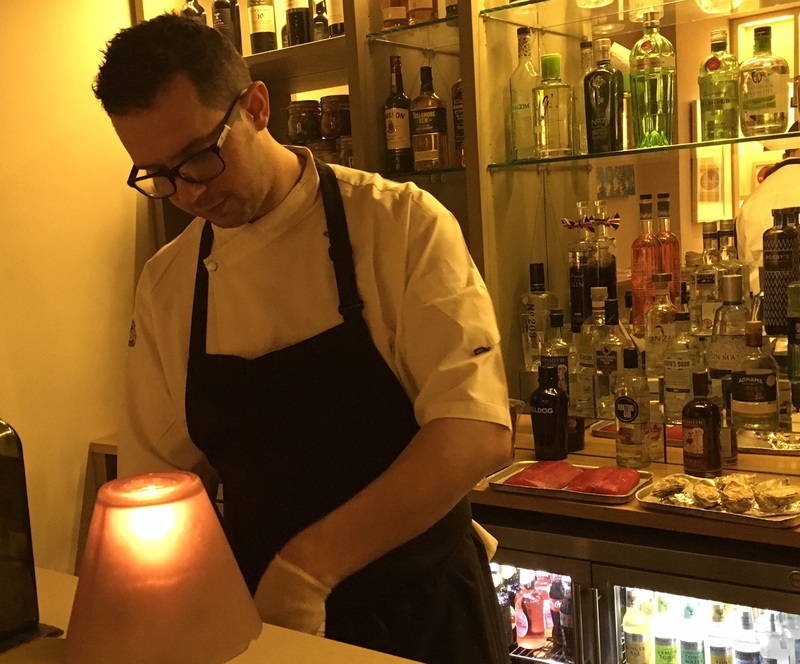 Great Fosters have recently launched a new ‘grazing’ menu with their Charcuterie dining concept ‘Best of British’ in the bar of the Estate Grill restaurant. Claire and Sari from the Luxury Restaurant Guide were invited to try it out and were guided through the whole experience by Great Foster’s Executive Chef Marc Hardiman. Marc has traveled extensively in his pursuit of bringing the ultimate dining experiences to guests of Great Fosters. For the Charcuterie concept he visited Denmark and Munich and has come back with some inspirational ideas! 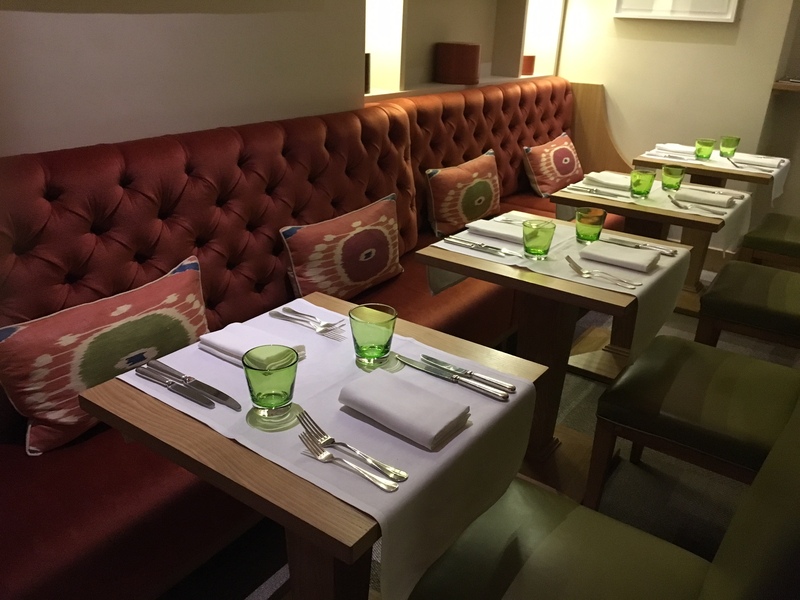 The menu is available in the bar of the Estate Grill but the dishes can be enjoyed as part of your meal within the Grill restaurant itself if so desired. This grazing collection is small and simple but full of the most delicious little dishes, you will find it hard to stop yourself ordering the lot! We started with fish, enjoying a pint of prawns and oysters served with Marc’s own sauce. We then moved on to some classic treats, prawn cocktail and dressed crab – but these were pretty special classics. 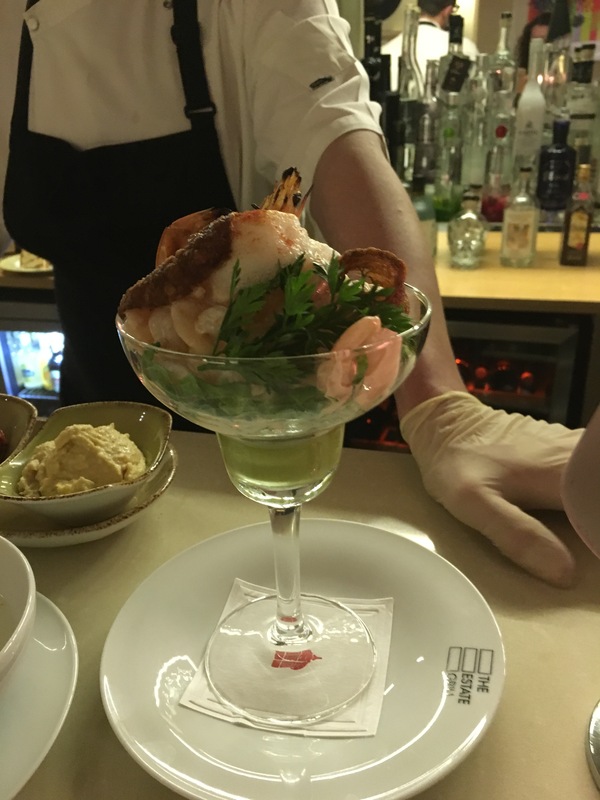 The prawns were served with seeds of finger lime which gave the most intense flavour, and a cute prawn cracker lending the dish texture. The crab? 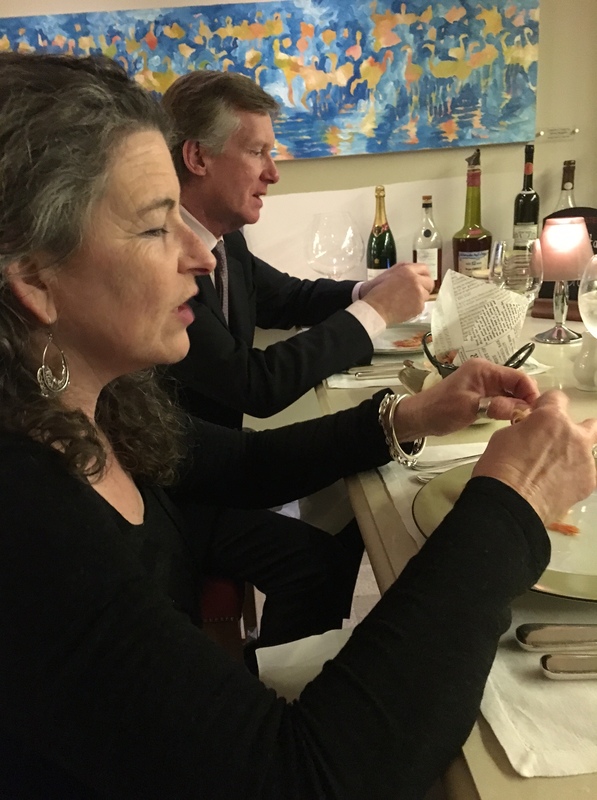 Well the crab was simply delicious – Claire is a crab fiend and declared it the best dressed crab she’d ever tasted. It is picked twice to make sure no bones are present – and then checked again! The dressing is complex involving grilled lime, lemon grass, coconut, raddish and black onion seeds giving it Asian flavours. 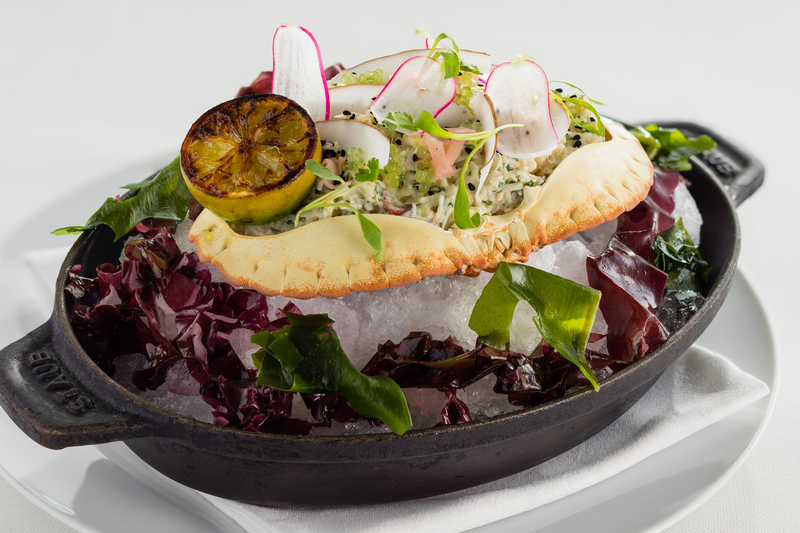 For crab lovers this is a must-order dish. 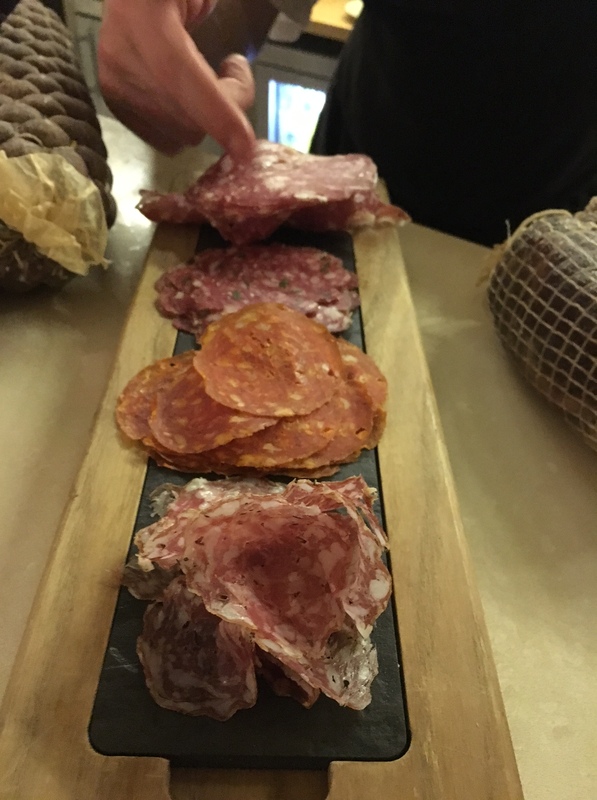 Onto the star of the show – the Charcuterie. 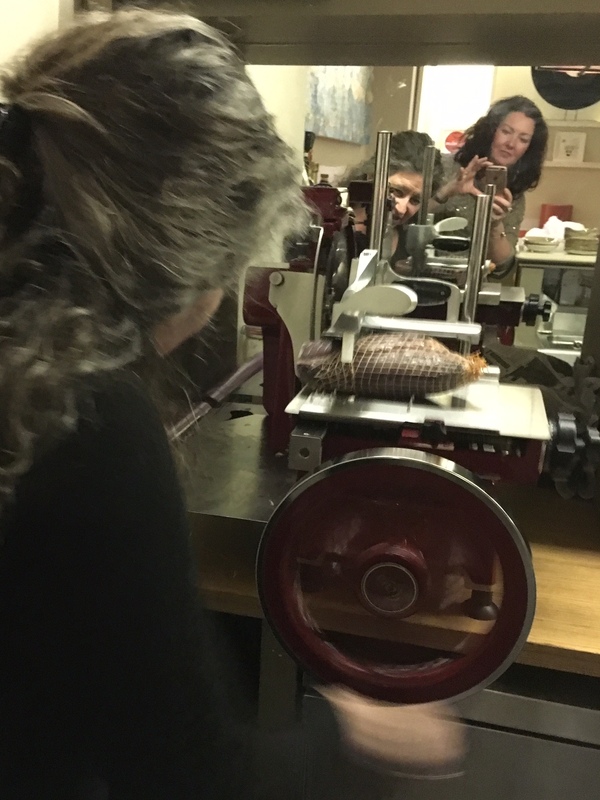 Great Fosters have invested in a hand-turned slicer so the cut of the cures and salamis can be tailored to customers preferred thickness. Sari was trusted with a quick ‘turn’! There are four cures and four salamis offered on the menu and they are ALL from the UK (hence Best of British). Marc gave us some more detail about the meats offered. Sari loved the Fennel Salami which is from Hackney and very peppery. Claire was taken with the Cornish Seaweed & Cider Salami, from Bude in Cornwall, where the pigs are fed whey from the cheese-maker based in one of the farms barns – but ended up preferring the Native Breeds Wild Boar salami: Made with 50/50 Wild Boar and Pork meat it is a medium cut salami, richly flavoured with caraway seed and cracked juniper. The Venison Bresaola was a hit with both of them – made with the best prime cuts of wild venison, dry cured, oak smoked and matured for up to 8 months. A surprise was the Smoked Mutton: Leg of mutton from sheep bred in Dorset and the West Country, cured with rosemary, juniper, garlic, black pepper, and port. It is then air-dried before being smoked over beech wood. A most wonderful and unexpected flavour – soft and supple and extremely delicious. Apparently it wins awards every year! Best of all though had to be the Native Nape, Native Breeds, Gloucestershire – or Coppa. Made from eighteen month old free ranging pigs, cured and marinated in pepper, mustard seed and garlic. 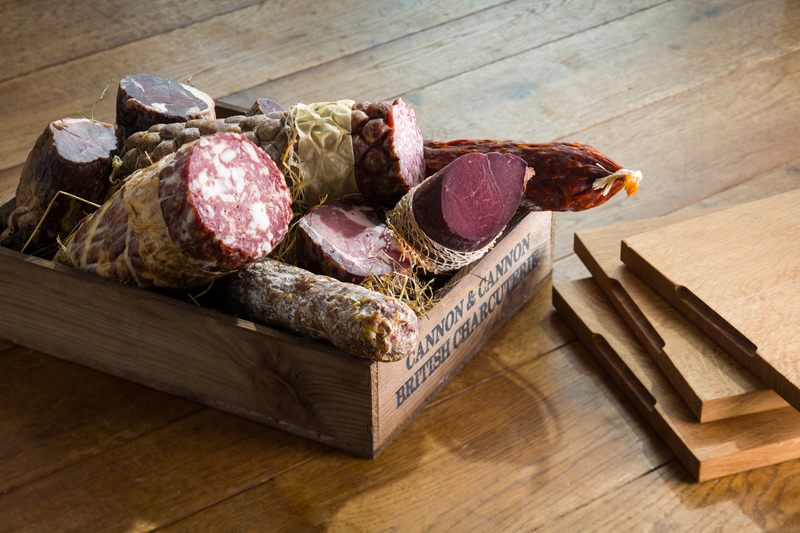 It has a deep colour and flavour, and is described as being ” Without doubt the Prince of the charcuterie platter”! 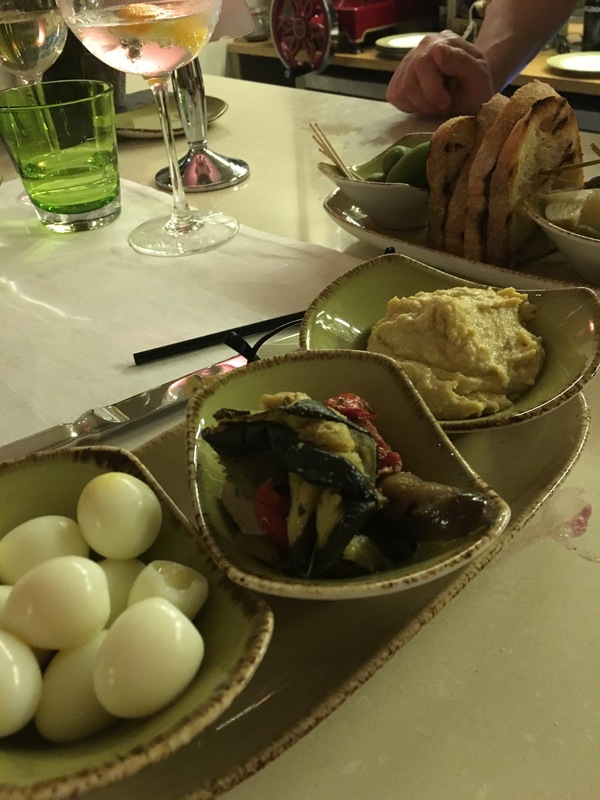 Also to accompany the meats on the menu (or for those not eating meat) are a selection of pickles, all made on site, vegetables (sun blush tomatoes, artichoke, aubergine) marinated then grilled on Great Fosters own Josper Grill, bread, hummus (also made on site) and pickled quails eggs. 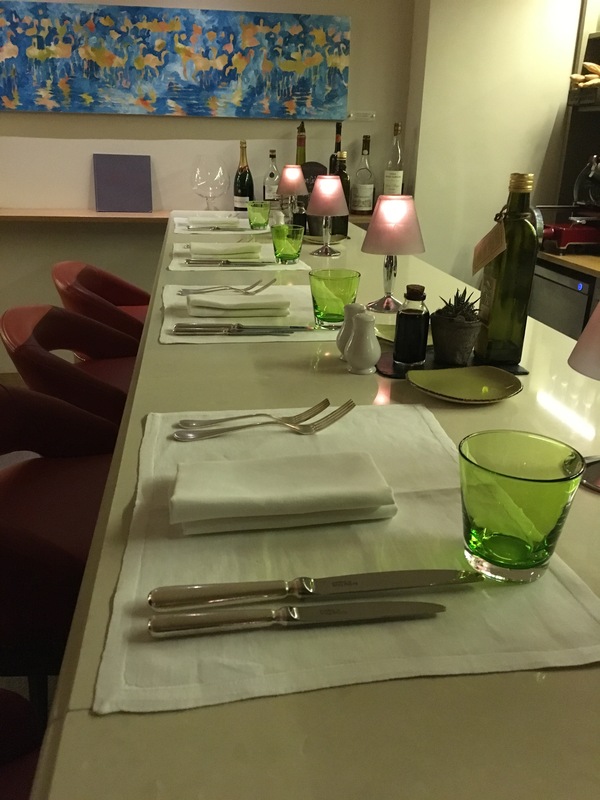 Whether you are booked into the Grill, and want to indulge in some delicious cold cuts to start with, or if you are popping in for a glass of fizz and fancy some tasty nibbles rather than a full meal – the Charcuterie is a wonderful additional dining option. Members dining at Great Fosters can include dishes from the Charcuterie as one of their two courses when dining in the Estate Grill. 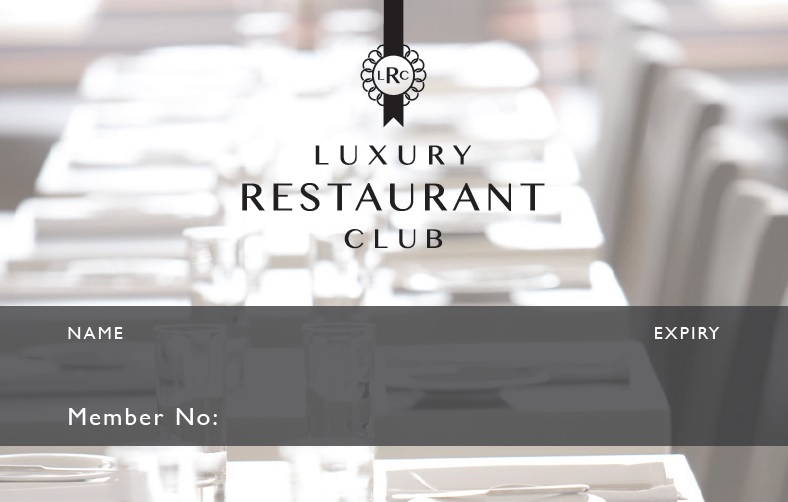 Club Offer: Member dines complimentary when dining with one or more guests for lunch in the Estate Grill Monday to Saturday and dinner Monday to Friday. Minimum of two courses per person required. For more details click here. Next articleLifestyle ArticlesIs Breakfast The New Afternoon Tea?